So whilst I'm at home all day wishing for a job I thought I would make good use of my spare time, there is only so much daytime TV I can stand! I will use this blog to document my thoughts and opinions on a range of topics including beauty, fashion and lifestyle and possible a few random rambles too (I apologise in advance). 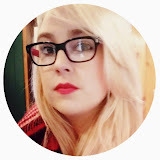 So welcome to my blog it will be a bit of fun (hopefully for you and for me) so wish me luck!